The auto industry is filled with many vehicles to choose from when searching for a new car in the midsize sedan segment. 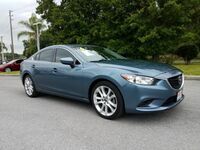 If you want to get behind the wheel of a used midsize sedan that offers you an extensive list of qualities, including high-tech features, luxurious comfort, exciting performance, excellent efficiency, advanced safety and sporty good looks, a used Mazda6 in Central Florida is a perfect choice. The Mazda6 is a sporty midsize four-door sedan that offers excellent performance on the road and outstanding fuel efficiency.  It also offers an incredible number of innovative technology features and comfort options to choose from at an affordable price thanks to its many trim levels. The trim levels available in the Mazd6 lineup include the Sport, Touring, Grand Touring, Grand Touring Reserve, and Signature. The interior of a used Mazda6 offers an amazing list of features and options to choose from thanks to its many available trim levels. Whether you’re looking for the latest and greatest technology features like an intuitive touchscreen infotainment system and navigation, or you want luxurious comfort features like leather upholstery and automatic climate control, a used Mazda6 in Central Florida can provide them to you at an affordable price. The impressive and very lengthy list of standard and available technology features and comfort options you can find in a used Mazda6 can include driver and passenger favorites like a surround-view camera system, rear parking sensors, power-adjustable front seats with driver-seat memory settings, a navigation system, an 11-speaker Bose® audio system, leather seats, a head-up driving display, satellite radio, keyless entry, USB ports, a sunroof, rear air vents, a rear center armrest, heated front seats, Bluetooth® connectivity, an 8-inch touchscreen infotainment system, and much more.